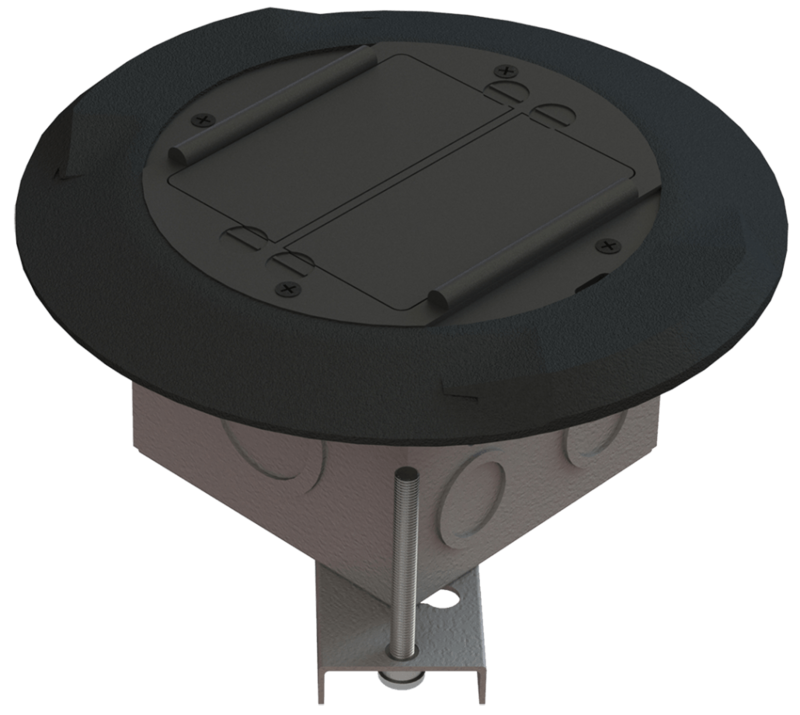 EZ-Wiring’s modular plug-and-play design expedites installation time of electrical wiring by up to 80%. 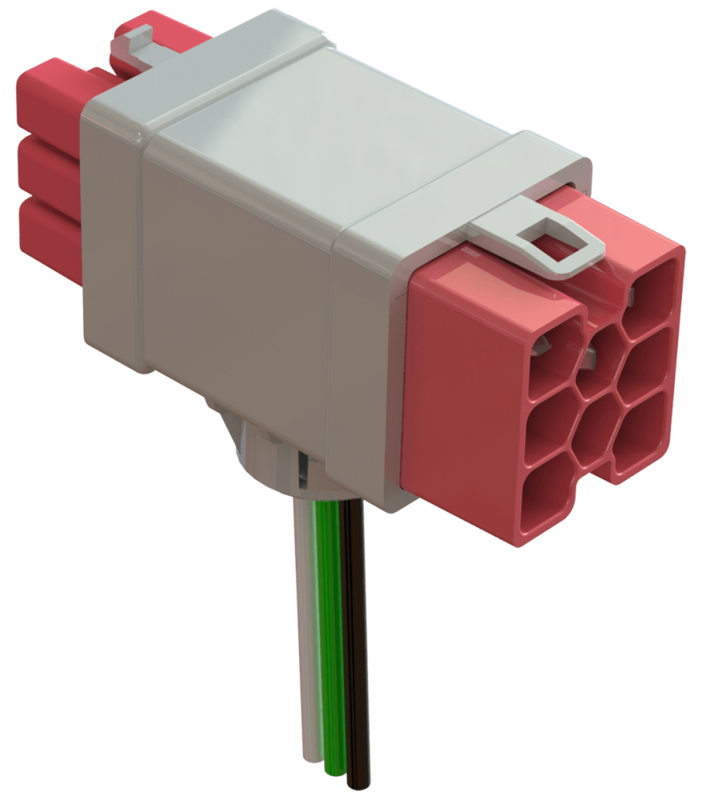 Patented technology provides safe, consistent and long-lasting connections in a relocatable and re-usable modular wiring system. Intuitive plug-in connections ensure safe and cost-effective moves, adds, changes lowering maintenance and alteration costs. 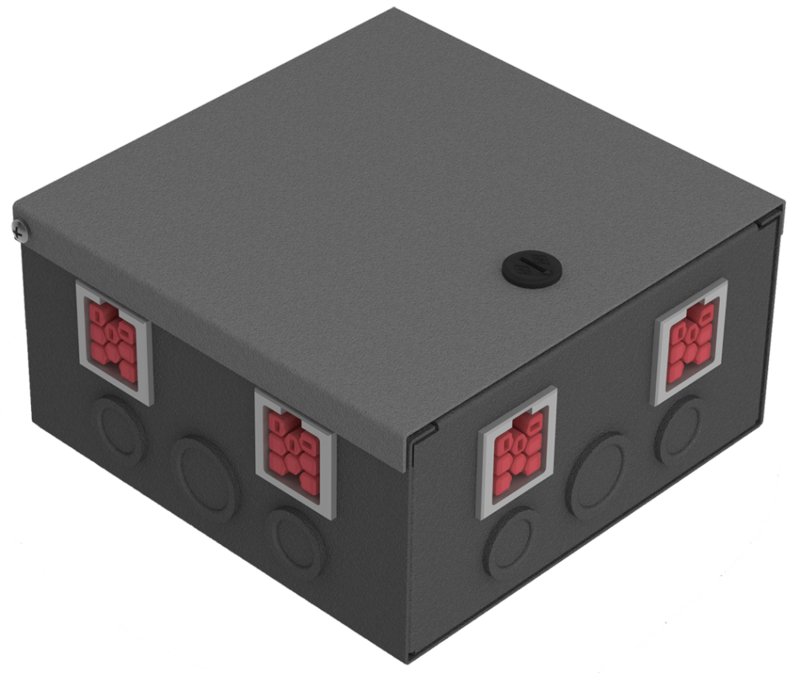 Constructed with halogen-free RoHS-compliant materials, EZ-Wiring is the environmentally-responsible modular wiring system. Suitable for use in all areas of building branch circuiting (ceilings, walls, raised floors). EZ-Wiring Components are tested to UL 183 (QQVX) standards and CSA 22.2 No.203.1 are UL listed and CSA Certified. Provides power supply connection and interface between conventional hardwiring and EZ-wiring components. 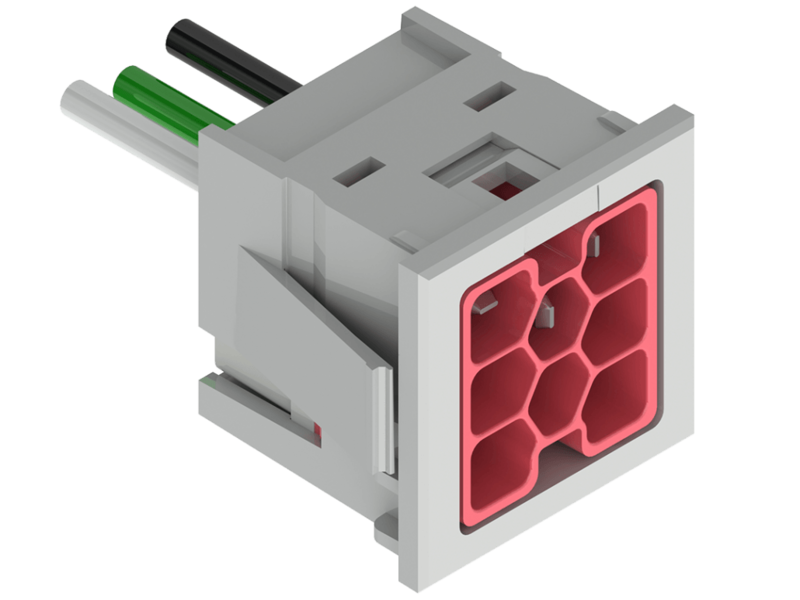 Provides plug-in connection of components within the modular wiring system. Provides connection to devices such as receptacles, switches, floor boxes, furniture and light fixtures. Provides power supply connection and interface between hardwiring and EZ-Wiring. Provides connection to equipment such as light fixtures, furniture systems, raised floor devices and wall outlets. Provides interconnection of light fixtures. Provides interconnection to and between light fixtures. Provides quick, simple, safe, cost-effective power or switch tap solution. 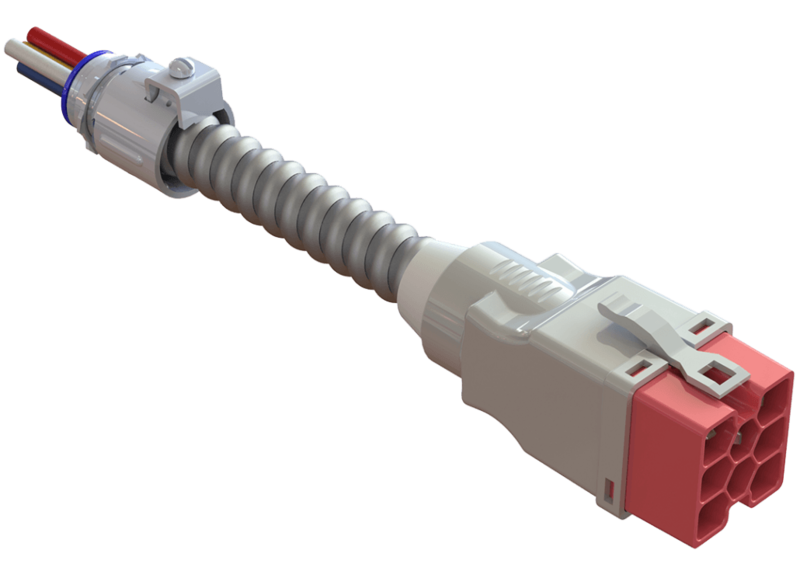 Delivers Main Distribution Point for EZ-Wiring MWS. 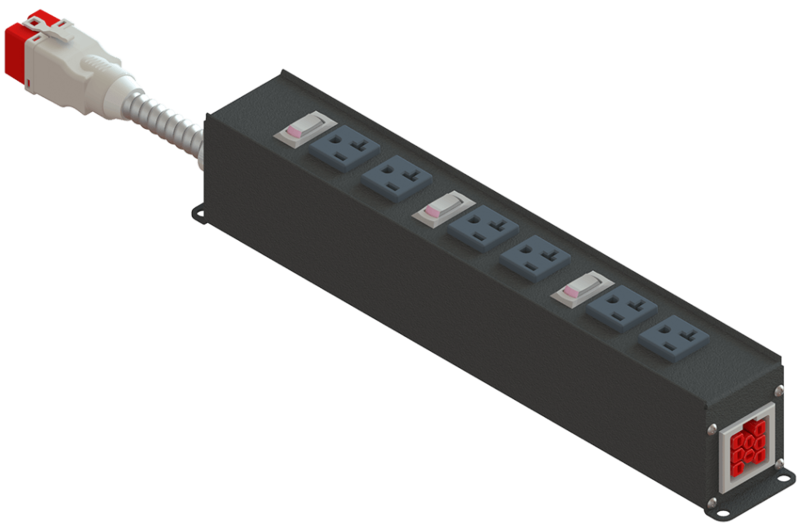 Multi-circuit (up to 4) Outlet Strip, available in various configurations. Can be daisy chained together. Provides quick, simple, safe, cost-effective installation of a wide variety of configurations. 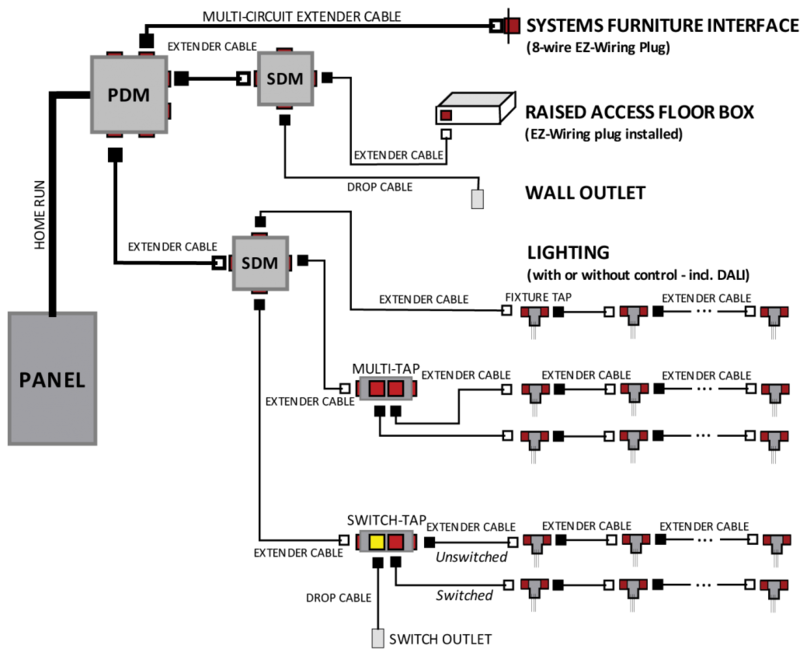 Receptacles, switches and other Devices in either single or two gang arrangements. 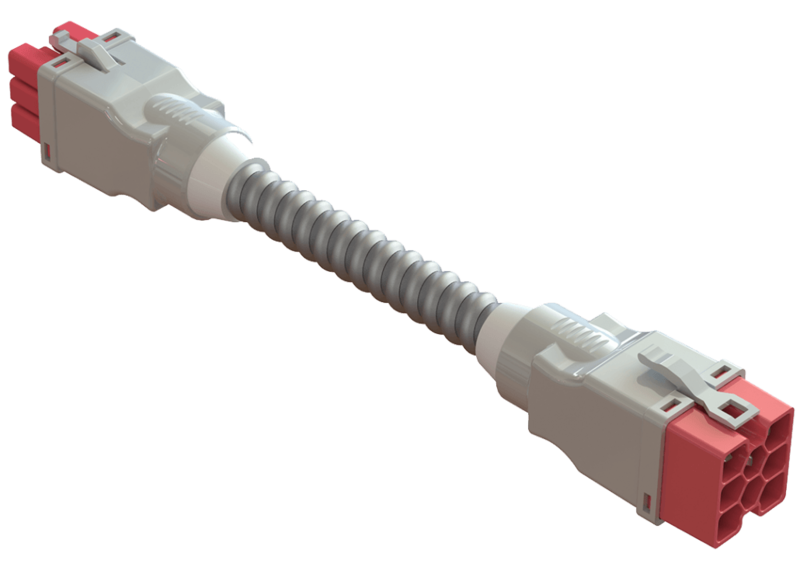 ELECTEC EZ-Wiring® components are UL Listed to be in compliance with UL 183 – Manufactured Wiring Systems (QQVX) and CSA Certified to be in compliance with CSA 22.2 No.203-1 – Manufactured Wiring Systems. 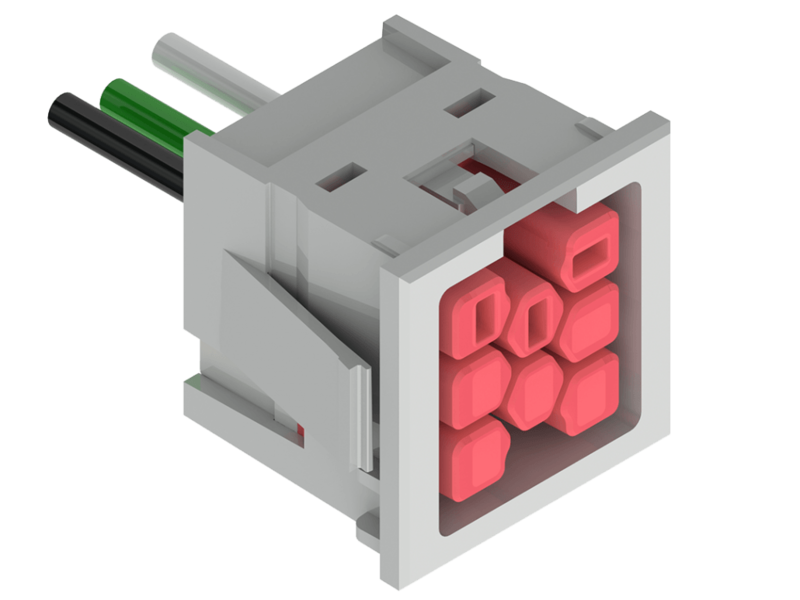 Constructed using ULTRALX® MC/AC90* cable (300lbs Tension), minimum 12AWG stranded conductors rated 600V 20A. 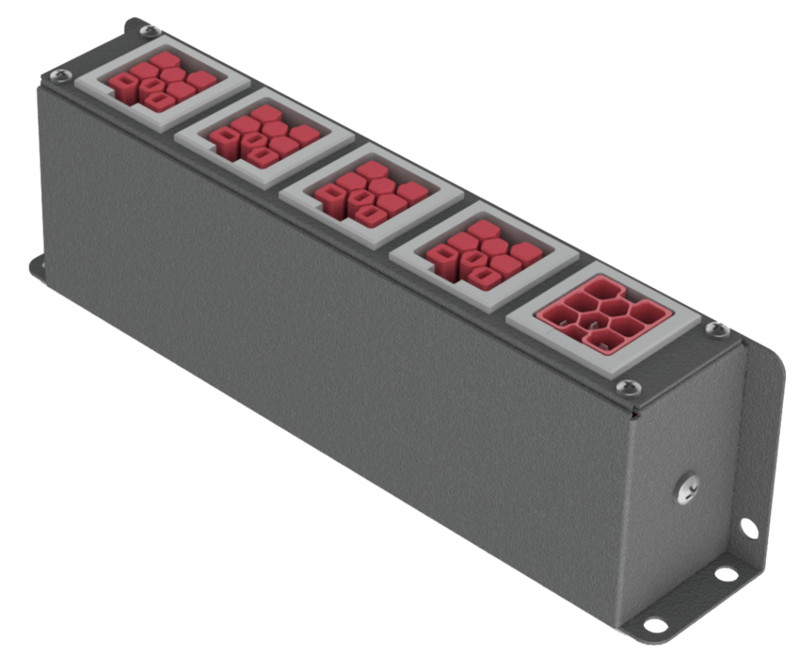 Robust terminal design exceeds 470Amp for 4 seconds. 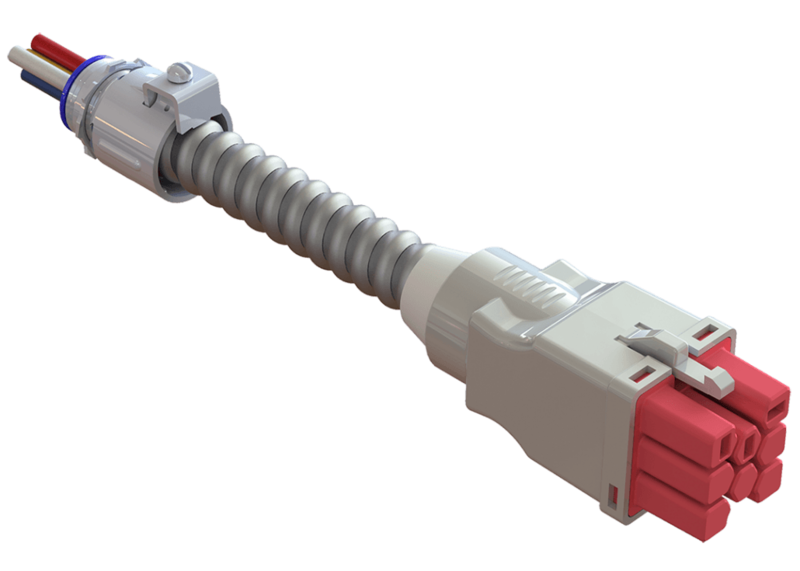 EZ-Wiring Connectors are integrally moulded (fully encapsulated) utilizing high impact Halogen-free, Eco-Friendly, Low Smoke, UL94-V0 rated, Oxygen Index – 33 %, RoHS-compliant polymers for superior strength, reliability and safety. 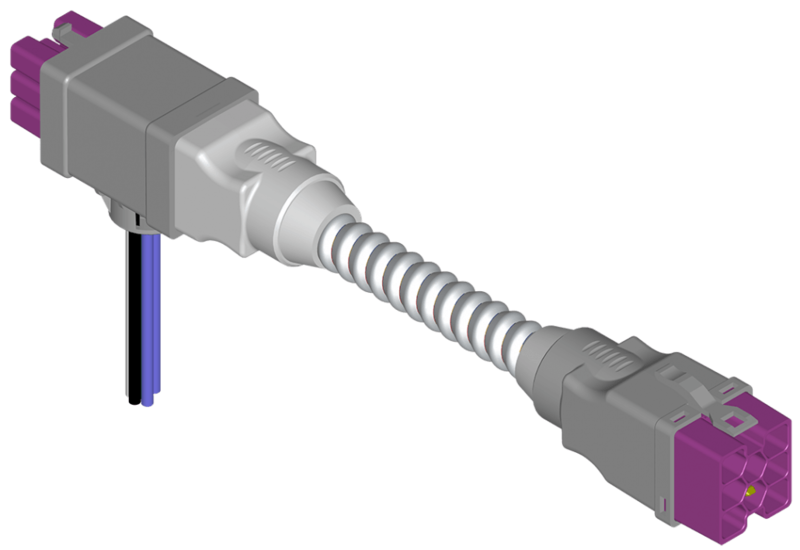 Mating connectors are self-latching and shrouded for added protection. 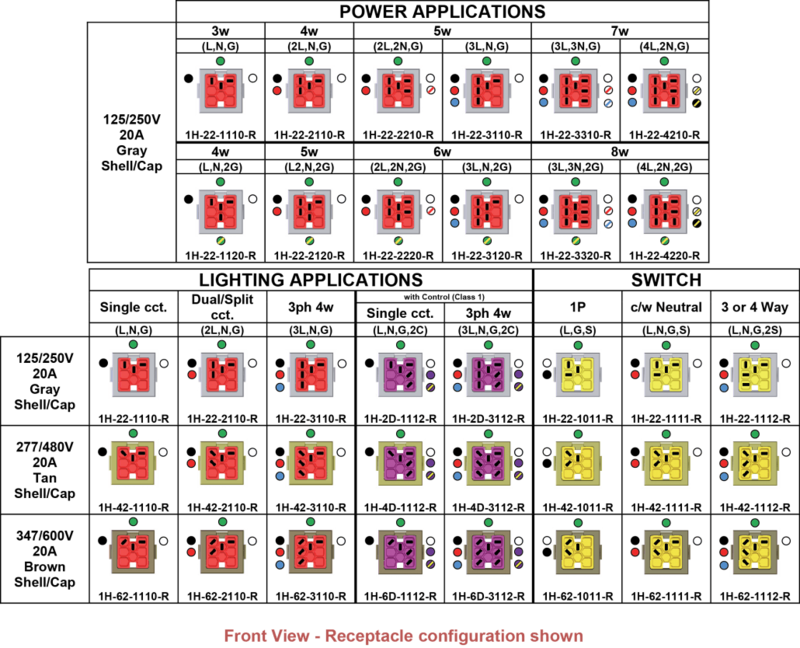 Uniquely-keyed and colour-coded to clearly indicate ratings and provide safe, simple, error-free connectivity. Only connectors having identical colours can plug together properly. Approved “Ballast Disconnect Means” per NEC 410.73(g) and CEC Part 1 30-308(4). Acceptable for interrupting current (make or break) under full load.